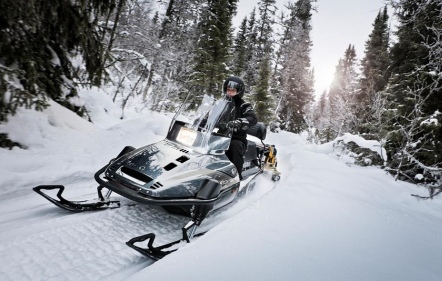 ATV Engineering are authorised agents for the full range of Yamaha Snowmobiles, and have been since 2003. To see the full range, please visit the Yamaha website http://www.yamaha-motor.eu/uk/products/snowmobiles. Due to the lack of amenities for the leisure snowmobile rider in the UK, we tend to sell primarily the Yamaha range of utility machines. These models are described below. The Viking 540 has been Yamaha’s 2 stroke workhorse for several years, benefitting from regular updates in both style and technology. It is relatively cost effective, with a guide price of around £6,000 plus vat (please contact us for a quote). The RS Viking Professional is the newer and more environmentally friendly 4 stroke option. It has power to burn, but is significantly heavier than the Viking 540. Guide price is £9,000 plus vat, but again, please contact us for an up to date quote. Yamaha UK has a limited allocation of these machines, and in heavy winters, stock runs out early. 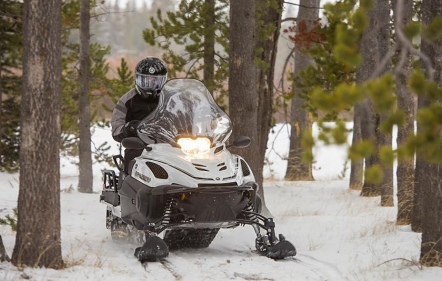 We therefore recommend that you think of ordering your snowmobile at the end of the summer, and certainly before winter sets in, in order to avoid long lead times or disappointment. Even if we are holding a machine in stock (and we try to hold at least one of these models in stock at all times), collection or delivery becomes problematic in the harsh conditions that might lead to a last minute decision to purchase!